The liver is a central organ in human body that controls metabolic homeostasis, provide essential substances to the organism and allow detoxification of xenobiotics. In addition to its biological function, liver physiology is peculiar in different aspects, including its regeneration capacity. Despite the intense research performed during the last couple of decades, there are still many open questions in regard of the molecular mechanisms underlying liver function and, most importantly, liver disease. This constraint largely restricts the development of more efficient diagnostic and therapeutic strategies for the better management of the patients. In the postgenomic era, the Human Liver Initiative started in 2002 as a large-scale international collaborative initiative aiming to define a comprehensive and dynamic map of the human liver proteome. Definition of liver proteome by characterization of all specific liver cell types and their interaction in health and disease. Definition of priority protein lists relevant in liver physiology and participating in the molecular pathogenesis of liver disorders. Example: panel of 15 enzymes of One Carbon Metabolism. To develop targeted standardized methods for the quantification of clinically relevant proteins. Example: SRM assay for a panel of 12 enzymes of One Carbon Metabolism. In depth dynamic characterization of liver regeneration by a combination of proteomics and phosphoproteomics. To identify novel proteins relevant in liver biology and pathology by means of proteogenomics. Non Alcoholic Fatty Liver Disease (NAFLD) molecular characterization and early marker discovery. Analysis of molecular mechanisms in drug induced liver injury. To study the role of ubiquitin-like proteins in liver disease. XIV annual Meeting of the Italian Proteomics Association. June 25-27, 2019. 18th HUPO World Congress. September 15-18, 2019. CD5L is upregulated in hepatocellular carcinoma and promotes liver cancer cell proliferation and antiapoptotic responses by binding to HSPA5 (GRP78).Aran G, Sanjurjo L, Bárcena C, Simon-Coma M, Téllez É, Vázquez-Vitali M, Garrido M, Guerra L, Díaz E, Ojanguren I, Elortza F, Planas R, Sala M, Armengol C, Sarrias MR. FASEB J. 2018 Jul;32(7):3878-3891. doi: 10.1096/fj.201700941RR. Epub 2018 Feb 20. Ileal FGF15 contributes to fibrosis-associated hepatocellular carcinoma development. Uriarte I, Latasa MU, Carotti S, Fernandez-Barrena MG, Garcia-Irigoyen O, Elizalde M, Urtasun R, Vespasiani-Gentilucci U, Morini S, de Mingo A, Mari M, Corrales FJ, Prieto J, Berasain C, Avila MA. Int J Cancer. 2015 May 15;136(10):2469-75. doi: 10.1002/ijc.29287. Epub 2014 Nov 6. Vitamin D-binding protein as a biomarker of active disease in acute intermittent porphyria. 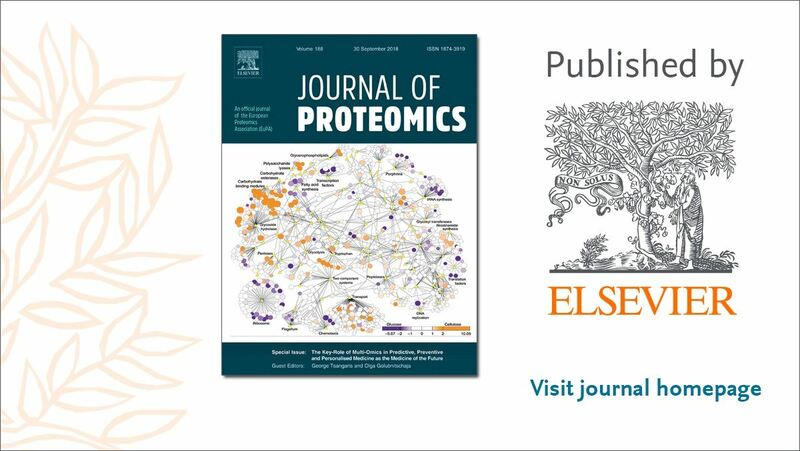 Serrano-Mendioroz I, Sampedro A, Mora MI, Mauleón I, Segura V, Enríquez de Salamanca R, Harper P, Sardh E, Corrales FJ, Fontanellas A.
J Proteomics. 2015 Sep 8;127(Pt B):377-85. doi: 10.1016/j.jprot.2015.05.004. Epub 2015 May 13. Long-term metabolic correction of Wilson’s disease in a murine model by gene therapy. Murillo O, Luqui DM, Gazquez C, Martinez-Espartosa D, Navarro-Blasco I, Monreal JI, Guembe L, Moreno-Cermeño A, Corrales FJ, Prieto J, Hernandez-Alcoceba R, Gonzalez-Aseguinolaza G.
J Hepatol. 2016 Feb;64(2):419-26. doi: 10.1016/j.jhep.2015.09.014. Epub 2015 Sep 25. Methylthioadenosine regulates liver cells proteome and methylproteome. Implications in liver biology and disease. Glucose metabolism during fasting is altered in experimental porphobilinogen deaminase deficiency. Collantes M, Serrano-Mendioroz I, Benito M, Molinet-Dronda F, Delgado M, Vinaixa M, Sampedro A, Enríquez de Salamanca R, Prieto E, Pozo MA, Peñuelas I, Corrales FJ, Barajas M, Fontanellas A. Acid sphingomyelinase-ceramide system in steatohepatitis: a novel target regulating multiple pathways. Garcia-Ruiz C, Mato JM, Vance D, Kaplowitz N, Fernández-Checa JC. J Hepatol. 2015 Jan;62(1):219-33. S-Adenosylmethionine increases circulating very-low density lipoprotein clearance in non-alcoholic fatty liver disease. Martínez-Uña M, Varela-Rey M, Mestre D, Fernández-Ares L, Fresnedo O, Fernandez-Ramos D, Gutiérrez-de Juan V, Martin-Guerrero I, García-Orad A, Luka Z, Wagner C, Lu SC, García-Monzón C, Finnell RH, Aurrekoetxea I, Buqué X, Martínez-Chantar ML, Mato JM, Aspichueta P. J Hepatol. 2015 Mar;62(3):673-81. Enhancing metabolomics research through data mining. Martínez-Arranz I, Mayo R, Pérez-Cormenzana M, Mincholé I, Salazar L, Alonso C, Mato JM. 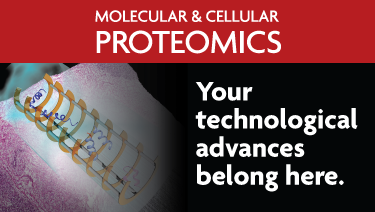 J Proteomics. 2015 Sep 8;127(Pt B):275-88. Nonalcoholic fatty liver disease: update on pathogenesis, diagnosis, treatment and the role of S-adenosylmethionine.Noureddin M, Mato JM, Lu SC. Exp Biol Med (Maywood). 2015 Jun;240(6):809-20. Functional Proteomics Study Reveals SUMOylation of TFII-I is Involved in Liver Cancer Cell Proliferation. Tu J, Chen Y, Cai L, Xu C, Zhang Y, Chen Y, Zhang C, Zhao J, Cheng J, Xie H, Zhong F, He F.
J Proteome Res. 2015 Jun 5;14(6):2385-97. doi: 10.1021/acs.jproteome.5b00062. Epub 2015 Apr 29. Transcriptome and proteome of human hepatocellular carcinoma reveal shared metastatic pathways with significant genes. 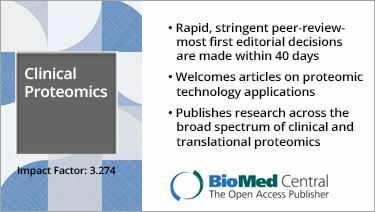 Shen H, Zhong F, Zhang Y, Yu H, Liu Y, Qin L, He F, Tang Z, Yang P.
Proteomics. 2015 Jun;15(11):1793-800. doi: 10.1002/pmic.201400275. Epub 2015 Mar 18. Histone H3K9 demethylase JMJD1A modulates hepatic stellate cells activation and liver fibrosis by epigenetically regulating peroxisome proliferator-activated receptor γ.
Jiang Y, Wang S, Zhao Y, Lin C, Zhong F, Jin L, He F, Wang H.
FASEB J. 2015 May;29(5):1830-41. doi: 10.1096/fj.14-251751. Epub 2015 Jan 21. Interactome map reveals phospholipid scramblase 1 as a novel regulator of hepatitis B virus x protein. Yuan Y, Tian C, Gong Q, Shang L, Zhang Y, Jin C, He F, Wang J.
J Proteome Res. 2015 Jan 2;14(1):154-63. doi: 10.1021/pr500943x. Epub 2014 Nov 14.